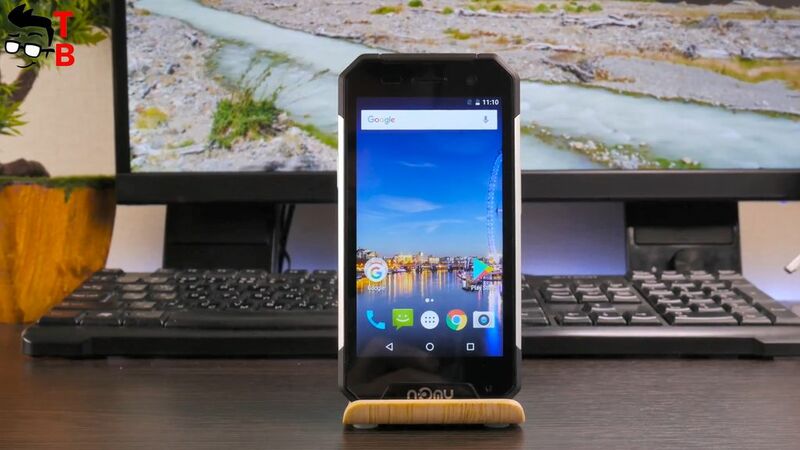 Today I want to talk about smartphone called Nomu S30 Mini. 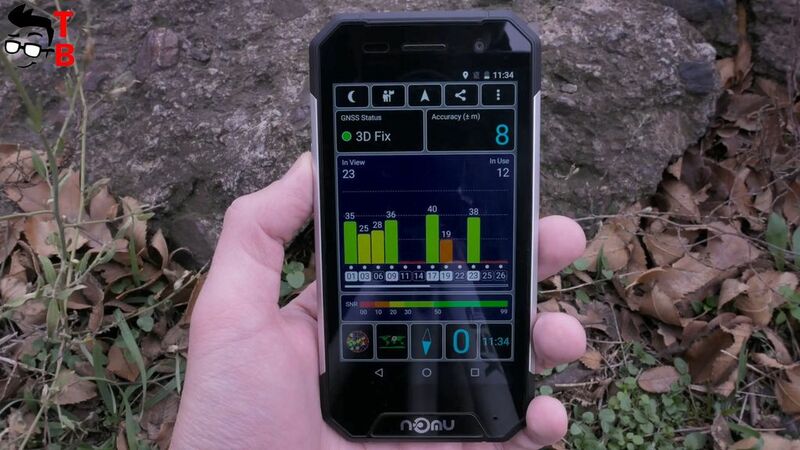 Nomu is a well-known Chinese manufacturer of rugged phones. 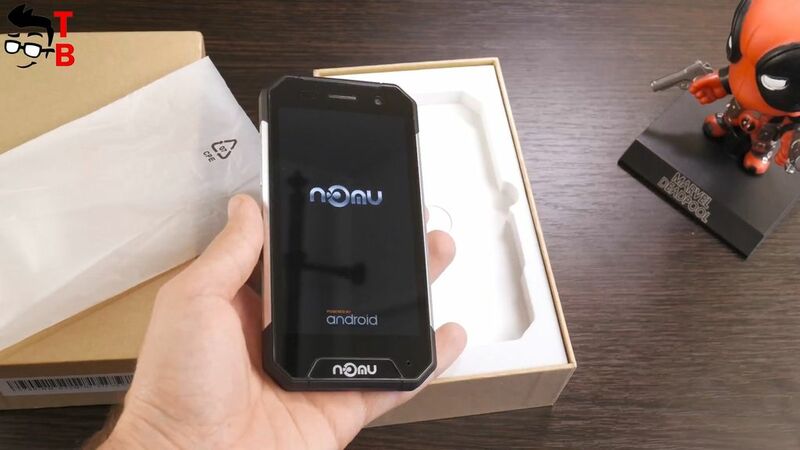 As you might have guessed by the name, Nomu S10, S20 and S30 were previously released. The new smartphone Nomu S30 Mini looks like its older brother, but has a more compact size, and some other changes. 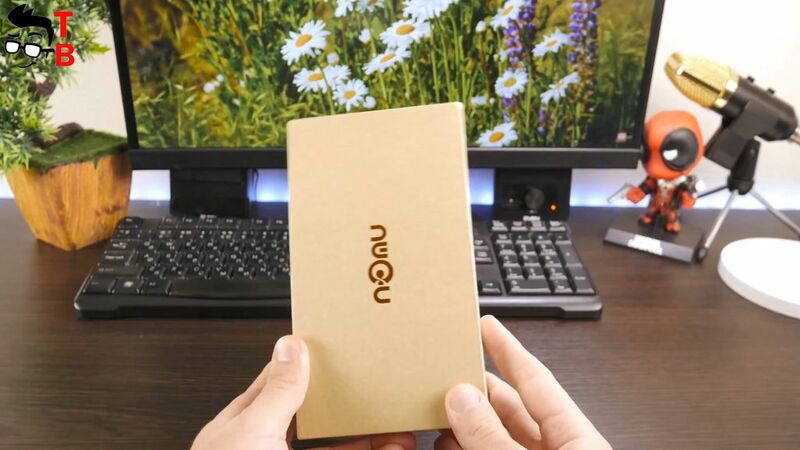 The price of Nomu S30 Mini is only $140. 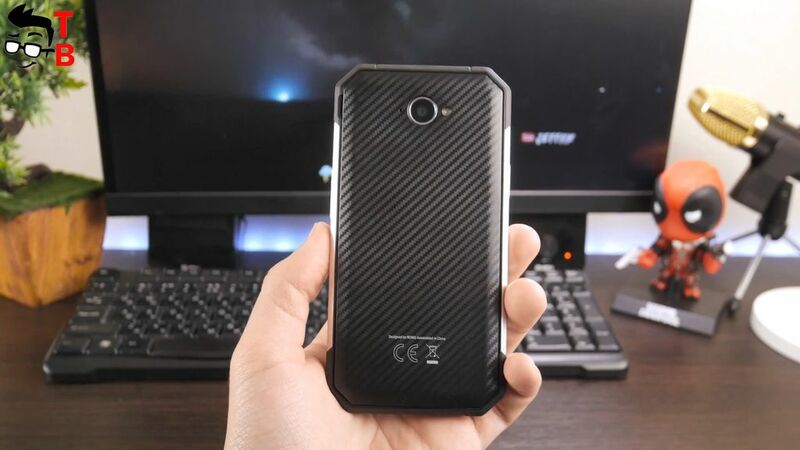 Thus, for this money you get a compact rugged phone with stock Android system and good performance. 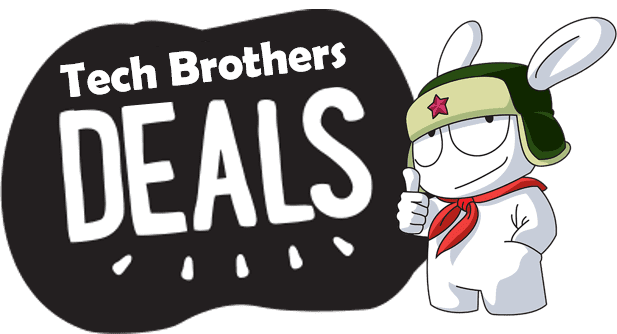 As usual, below you will find a link where to buy smartphone cheaper. 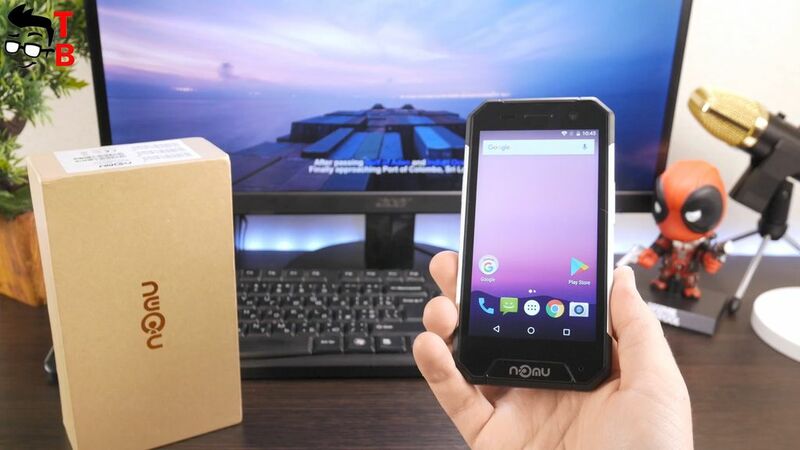 Nomu S30 Mini comes in a large box of solid cardboard. 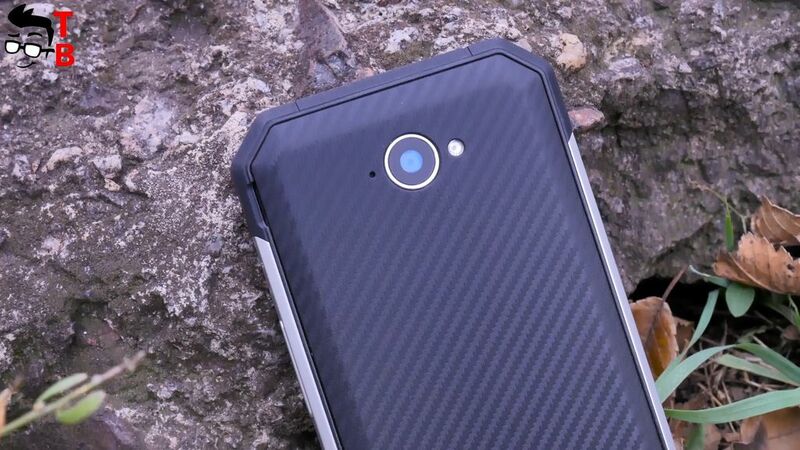 As usual, we see the company logo on the front panel, as well as specifications of the smartphone on the back. Inside the box is the phone itself. 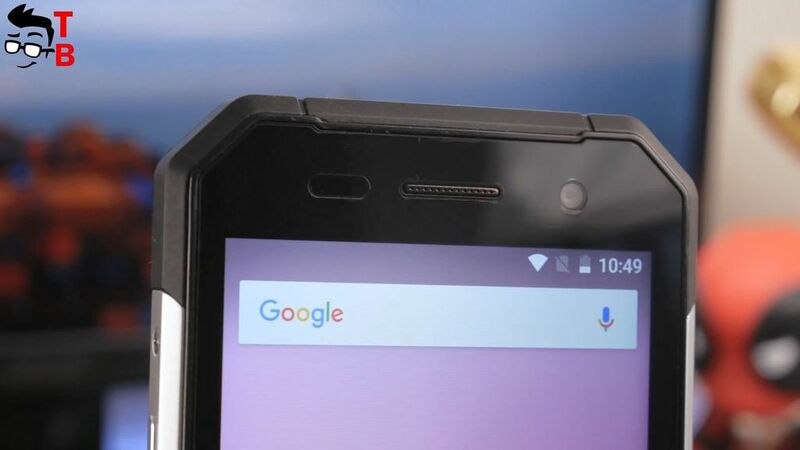 I must say that it is really compact, compared to other rugged phones, for example Ulefone Armor 2 and Blackview BV8000 Pro. Also inside the box you will find microUSB cable, power adapter with fast charge support and user manual. 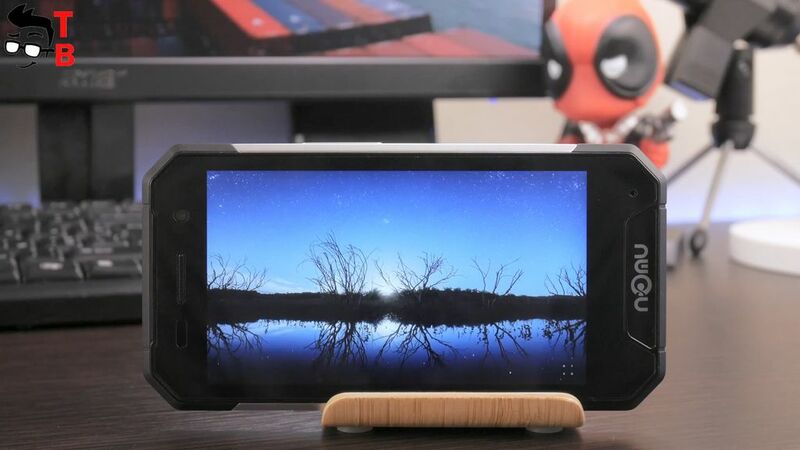 Nomu S30 Mini has a solid frame and sharp corners, which makes it really brutal. It think it is not the best smartphone for girls. It has a thickness of 1.25 cm! 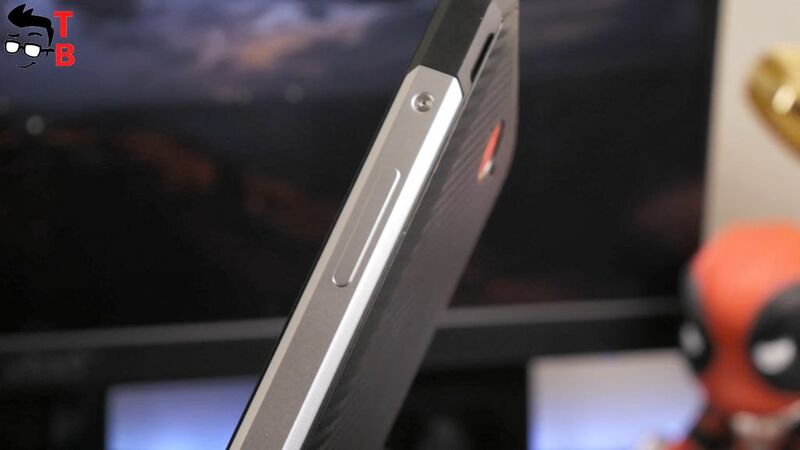 Yes, it’s really thick, because most modern smartphones are almost twice as thin. 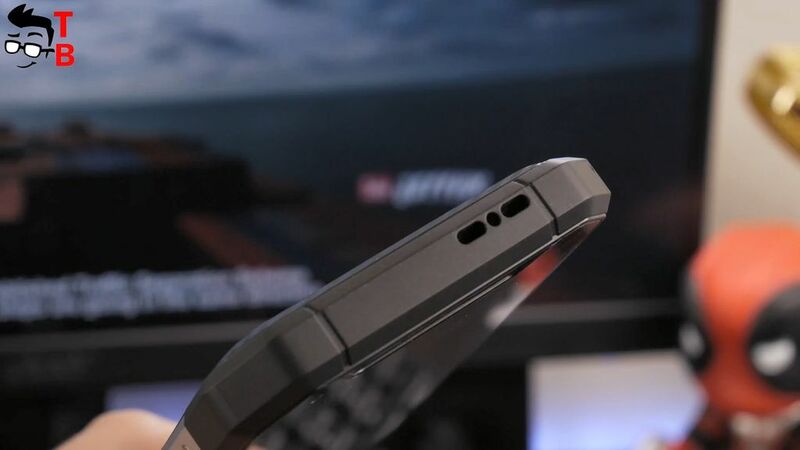 Also this is not bezel-less phone, because there are enough thick bezels around the display. In general, the smartphone comes with 4.7 inch display, but it can be compared to 5-inch devices. On the front panel we see a display, and above it there is a talking speaker, notification indicator, light and proximity sensors and front camera. 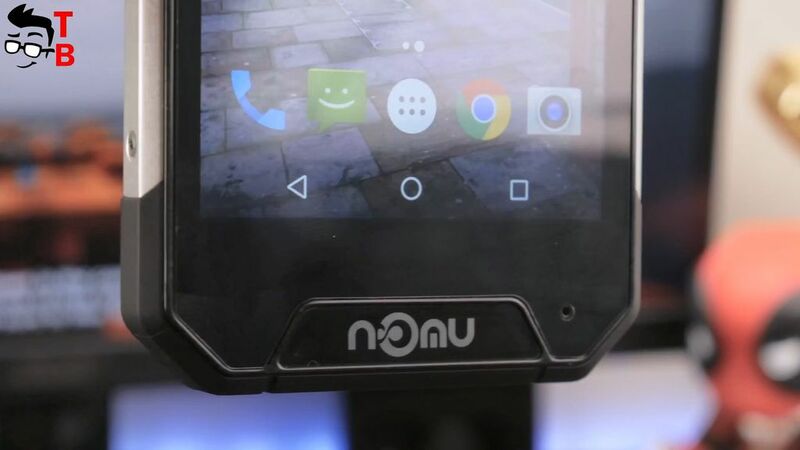 Below the display, you can find microphone in the lower right corner and Nomu logo. 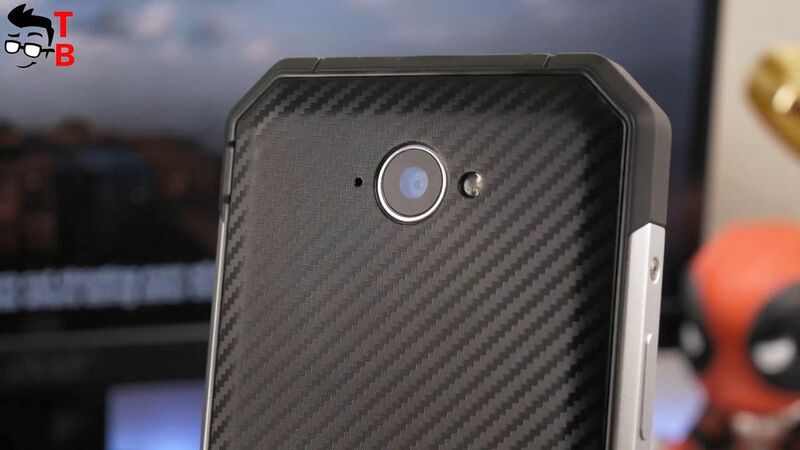 It would be great if instead of Nomu logo there was a home button with a fingerprint reader, but the smartphone only has on-screen navigation buttons. The back panel has a main camera and LED flashlight. Next to the camera is a hole – it’s a microphone for noise reduction. 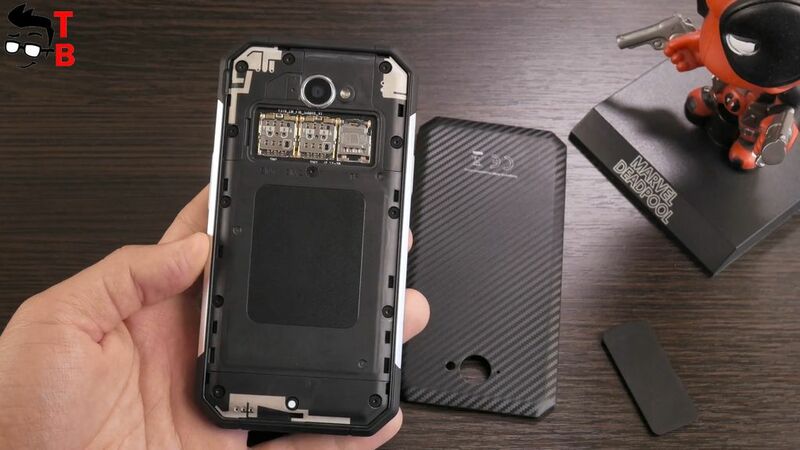 Carbon cover is removed, and here you will find a slot for two SIM cards and microSD memory card. However, the battery is not removable. The power and volume buttons are on the right and left sides. 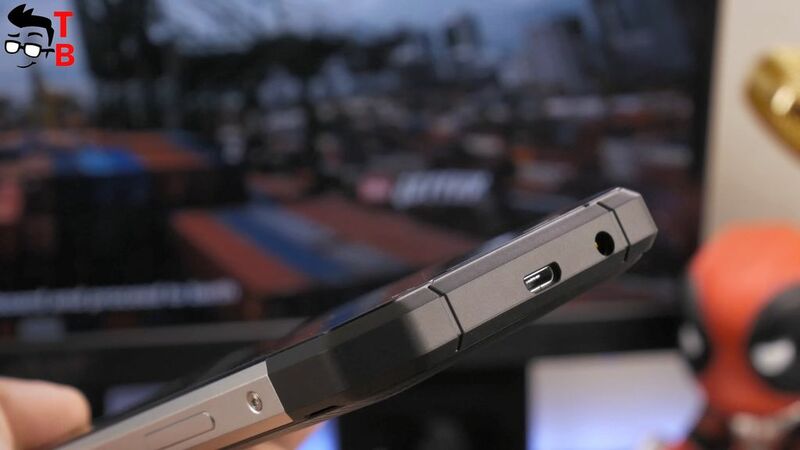 3.5 mm headphone jack and microUSB are located on top. Please note, they are not closed by stubs – it’s very convenient. But, before you charge the phone or listen to music, make sure that connectors are dry. At the bottom is a multimedia speaker. 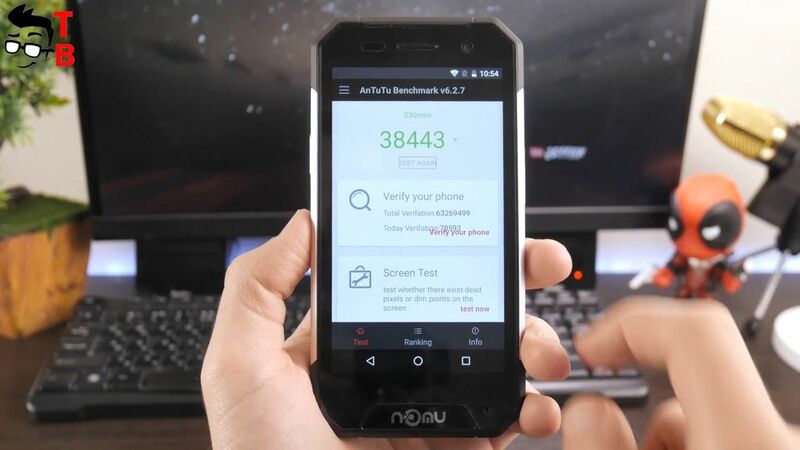 Nomu S30 Mini has IP68 rating. It means that smartphone is protected from dust and moisture. You can immerse the phone under the water to a depth of not more than one meter and not longer than half an hour. I think that the main feature of Nomu S30 Mini is its compact size. 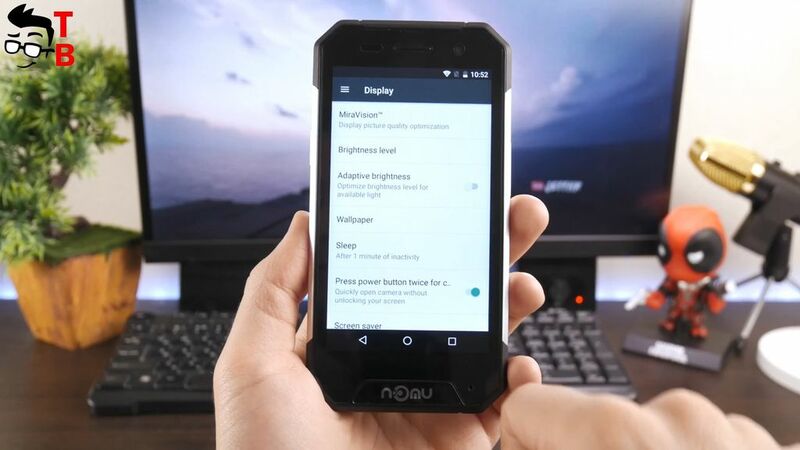 If other rugged phones with 5.5-inch displays look like a brick in your hand, then Nomu S30 Mini is comfortable to carry in your pocket. The smartphone comes with 4.7 inch display, made by LTPS technology. The resolution is HD, 1280 by 720 pixels. The display is covered by Corning Gorilla Glass 3. It also supports up to 5 multitouch. The brightness range allows you to use smartphone both on a sunny day and in total darkness. The light sensor does its job well. In the phone settings, you can choose the image mode: standard, bright and custom. Here are also functions of contrast, saturation, sharpness and color temperature. 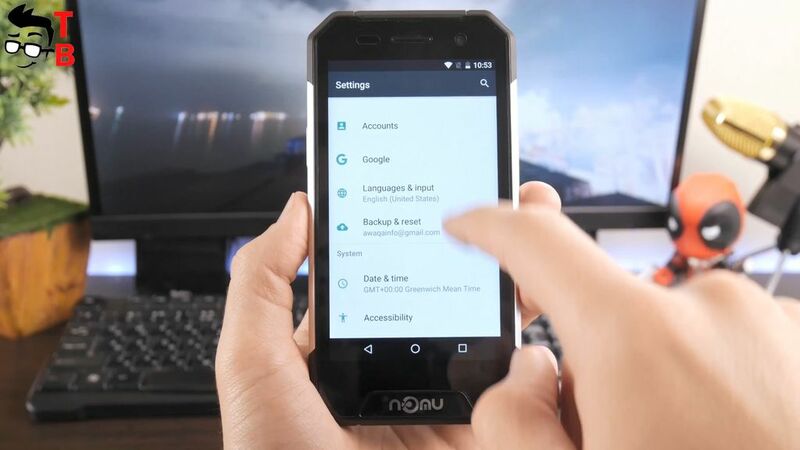 Nomu S30 Mini runs on stock version of Android 7.0 Nougat. It’s really good. Among preinstalled applications, you will find a file manager, software updates, and Google services. Settings menu, widgets and phone just like standard Android 7 Nougat, so there’s nothing to talk about. Let’s move on to performance. 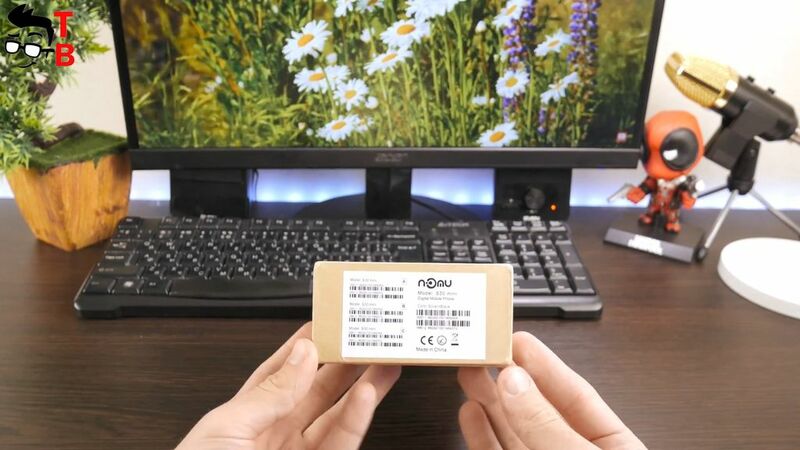 Nomu S30 Mini is powered by quad-core processor MediaTek MT6737T with a frequency of 1.5 GHz. The graphics accelerator is used by Mali-T720. As for memory, there is 3 GB of RAM and 32 GB of storage. The user has about 26 GB of free memory. If that’s not enough, then you can use MicroSD memory card up to 64GB. My first experience with smartphone did not reveal any serious problems. The user interface works smoothly, applications and games are launched quickly. Now I want to show some benchmarks. The most popular Benmark for Android called AnTuTu shows about 39000 points. If we talk about GeekBench 4, here we see 683 points in a single core test, and 1887 points in multi core test. 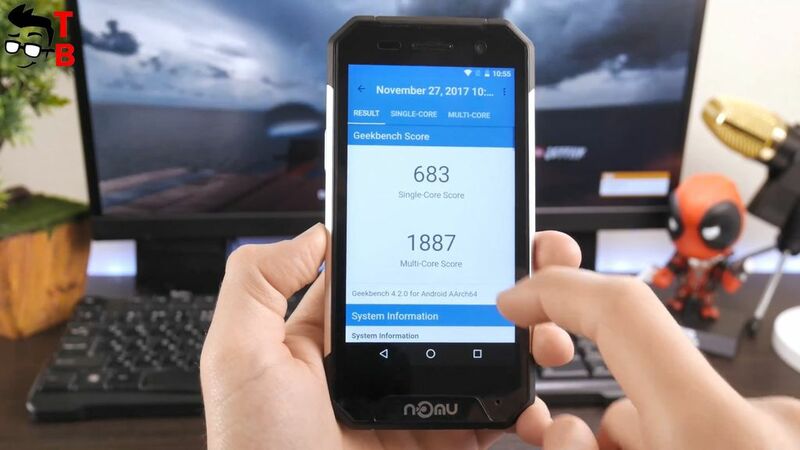 I can say that Nomu S30 Mini has standard performance for its price category. As usually, I play heavy games on smartphones when testing performance. It means that if I can play heavy games, then you can start almost all Android apps. 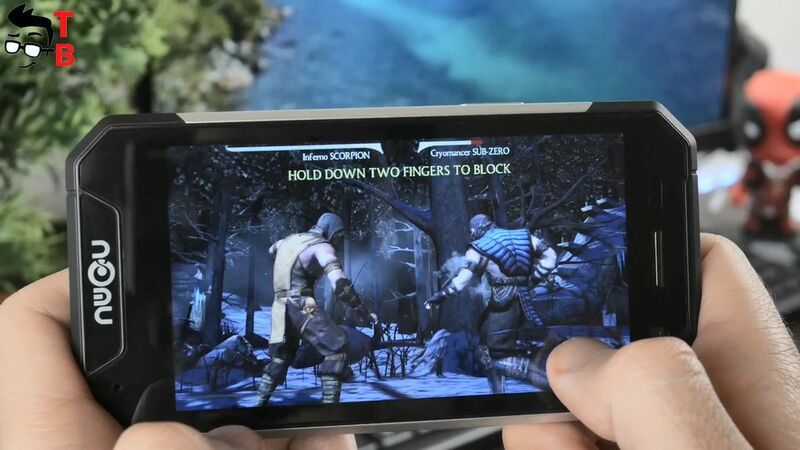 So, let’s start with Mortal Combat X. First, I need to mention that it takes some time to start the game. However, it runs and you can play. The graphics is OK, and gameplay is smooth and fast. The only problem is that you need to wait for the game to load. The next game is Asphalt 8. 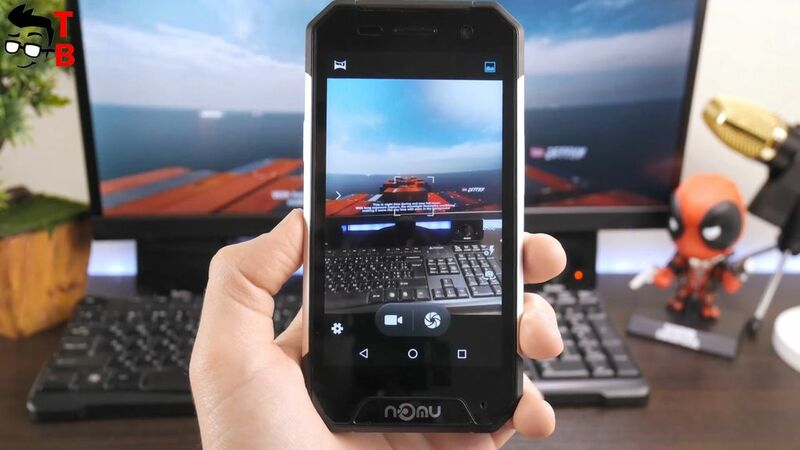 It is really heavy games, and I have some doubt that Nomu S30 Mini is able to run it. 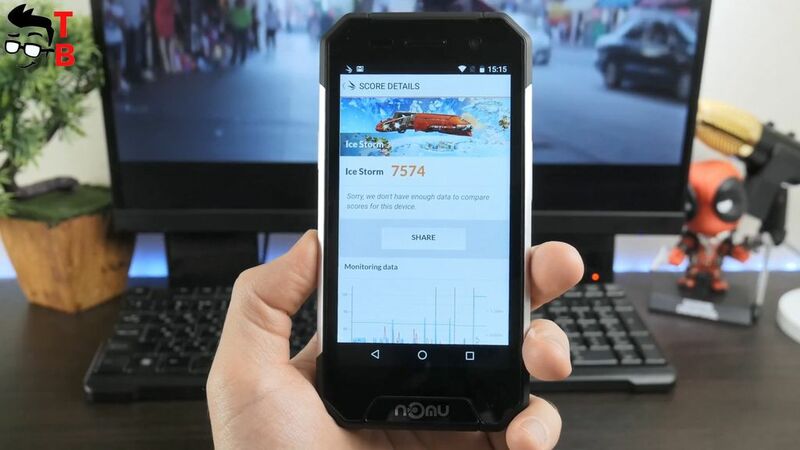 However, everything is OK. You can play Asphalt 8 on Nomu S30 Mini. Performance is not the best, you can see delays and FPS drops. 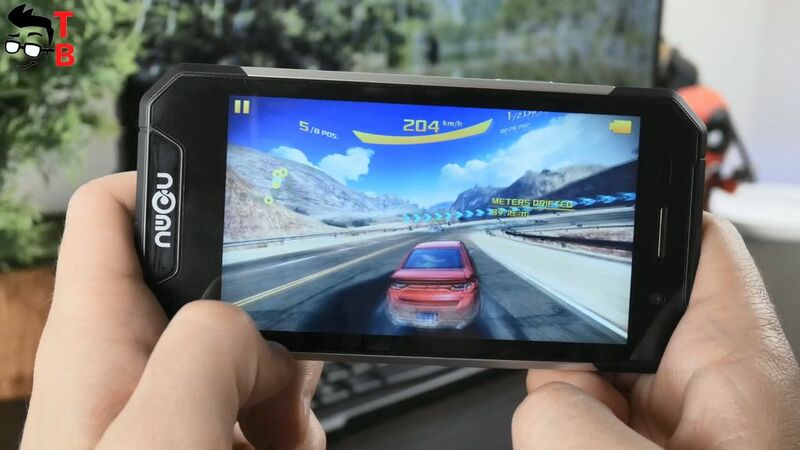 However, if you really want to play Asphalt 8, then you can do it. 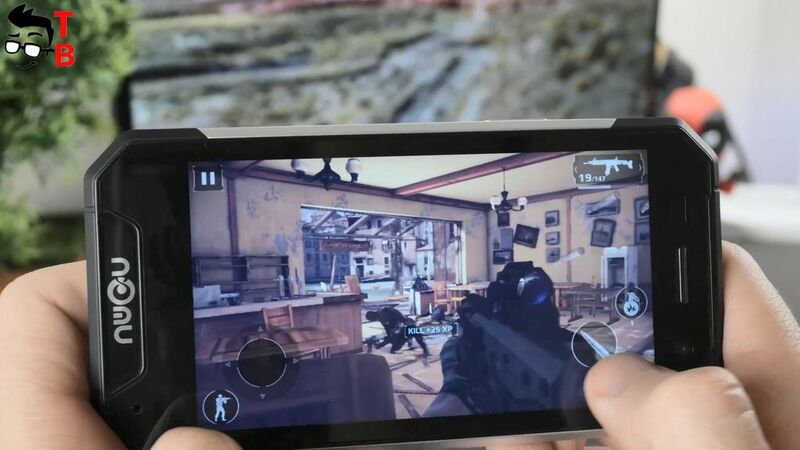 And the last game for today is Modern Combat 5. 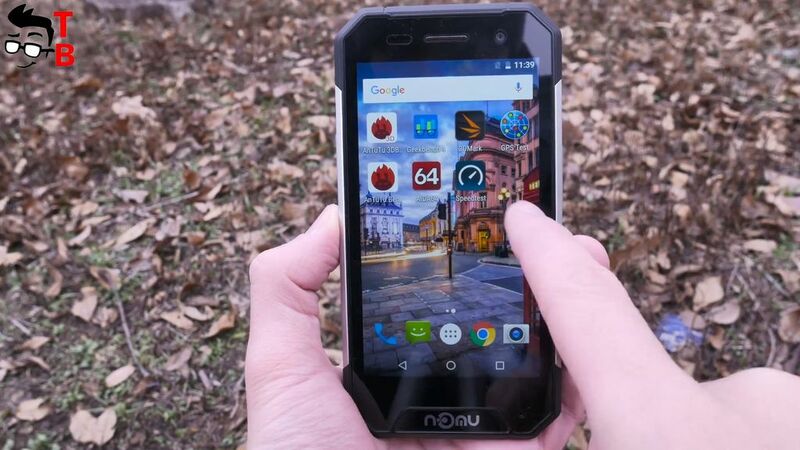 It is another heavy game, and I should say that it is really difficult to play it on Nomu S30 Mini. Of course, it runs and you can move and shoot, however, there are big lags, and I do not feel comfortable to control my character. Communication is very important for rugged smartphone. Many travelers, police or military use rugged phones at work. Among available navigation systems are GPS and GLONASS. The phone does not have Chinese Beidou. GPS positioning starts in about 15 seconds. 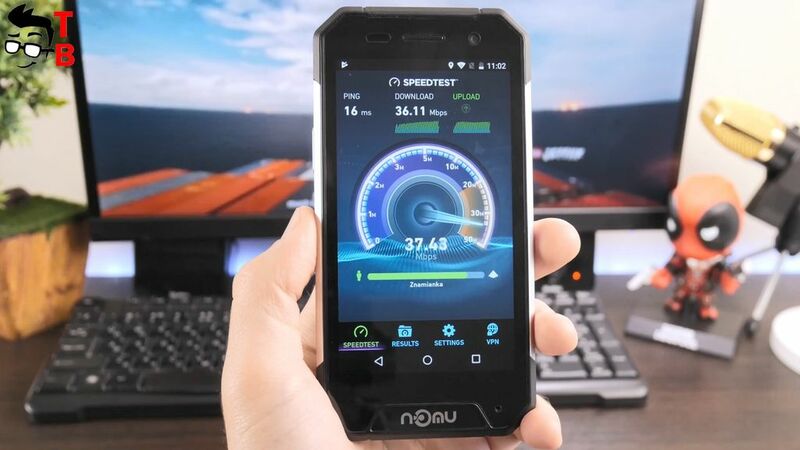 Nomu S30 Mini works in 4G networks. Among the wireless interfaces there is Wi-Fi dual band 2.4 GHz and 5 GHz, as well as Bluetooth 4.0. During the testing of smartphone, I did not find any problems with calling, Wi-Fi or GPS. 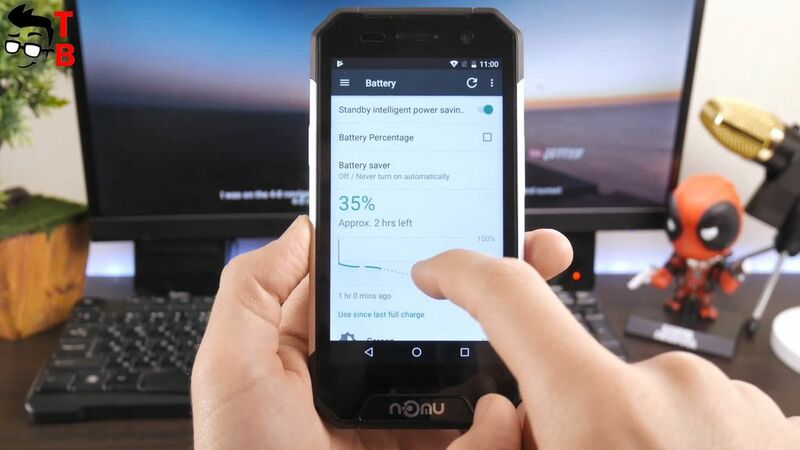 The Nomu S30 Mini is equipped with 3000 mAh battery. 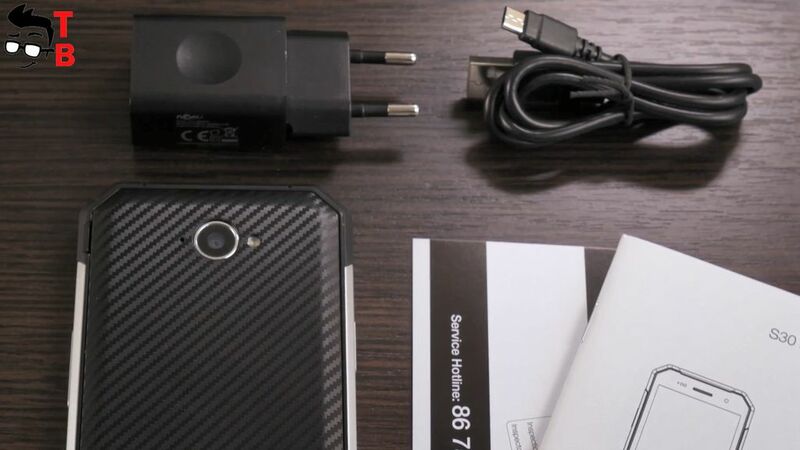 The manufacturer says that the smartphone supports fast charging technology, but it comes with only 5V / 2A power adapter. The battery life while watching HD video is about 6 hours, and during games is 4 hours. Full charging takes about 2 and a half hours. Nomu S30 Mini is a budget smartphone, so it can not boast of flagship cameras. There is 8-megapixel main camera from Sony, and 2-megapixel front camera. At the moment I can not talk about the quality of photos, because I just got a smartphone. Later I will make a lot of sample photos and videos, after which I’ll tell my opinion about the camera. A link to the test of Nomu S30 Mini camera can be found in description. 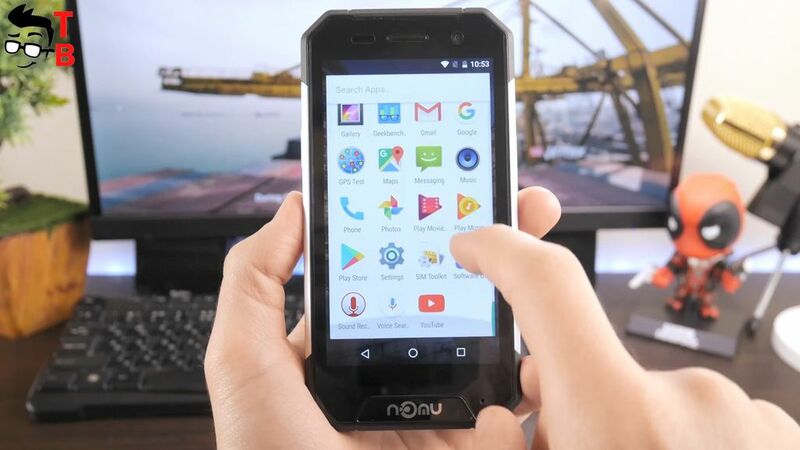 Nomu S30 Mini is a good option for those people who are looking for rugged phone with compact size and affordable price. The smartphone has IP68 rating, support for two SIM cards and microSD card at the same time, good performance, battery and even stock Android 7.0 Nougat system. I think the main drawback of Nomu S30 Mini is camera. On paper, it looks rather weak. But I have to take some real photos and videos to make a final conclusion.